An assortment of fleece, soft cotton & stretchy lycra knits or stretchy laces hug the neck to give warmth or style. The Mega-hug Snood can be worn in a variety of ways. 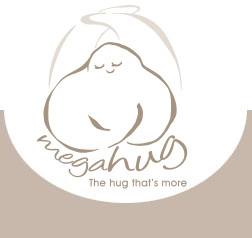 If it is just a precious little cuddle that you’re looking for to share with a loved one, then the Mega-hug Snood hugs like a little pair of loving arms encircling your neck. The Mega-hug Snood can be dropped around the neck with ease like a scarf; twisted & lifted onto the head as a hood to keep our heads, ears and necks warm or twisted & lifted over the head to create a cuddly collar or a stylish fashion accessory.